What to wear in Lakshadweep? With its fascinating beaches, clear water and colourful coral reefs, there is so much to enjoy in Lakshadweep. Can’t wait to get started? But wait, before you head out, there are some things you need to keep in mind while packing your clothes. Read on to find out what is the ideal kind of clothing to carry on your fabulous holiday at Lakshadweep. 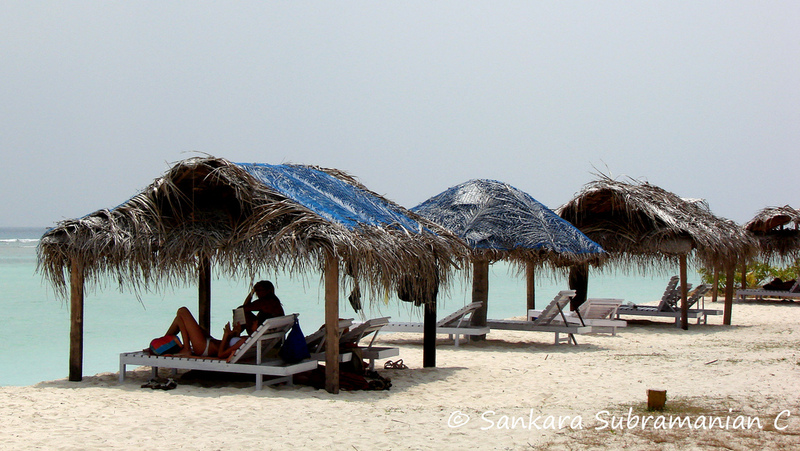 Keep in mind that the local population is Lakshadweep is rather conservative. So as much as you may want to pack your newest bikini, we’d say it’s better to carry some backup clothing as well. It is advised to wear covered and modest clothing whenever on the island. You can wear shorts and T-shirts as long as they are not too revealing. It is considered respectful to be appropriately dressed at all times on the island. Well yes, this means that this is not going to be the vacation to show off your new bathing suits. Keeping in mind the culture and attitude of the locals, people prefer to wear tights, cycling shorts or covered bathing suits even in the water. Having said that, you will find a lots of tourists wearing bikinis at certain places. And it might be acceptable at a few ‘touristy’ places. Next, remember to pack light clothes with breathable fabric as the weather is perpetually warm and humid in this region. Cotton and linen are the best options as you are bound to be perspiring a lot and you would want clothes that are absorbent and dry quickly. Remember to carry a light jacket with you as the evenings do tend to get brisk and cool with a nice breeze. A scarf or a thin cover up should also be fine in the summer months. You may need something a little heavier for winters. Keep a raincoat handy if you are heading to Lakshadweep in the monsoon; you will need it. Remember to pack your favourite pair of sunglasses and pick up a cool looking hat too. The sun shines brightly all through the day and it reflects strongly on the white sand. So it is essential that you keep your eyes protected from the glare and harsh sun rays. Lastly, when walking on the beach, make sure you are wearing a pair of flip flops or some comfortable shoes. There are small coral pieces and other elements in the sand that could hurt you if you try to walk barefoot. And after all, how can beach wear be complete without a pair of colourful flip flops?